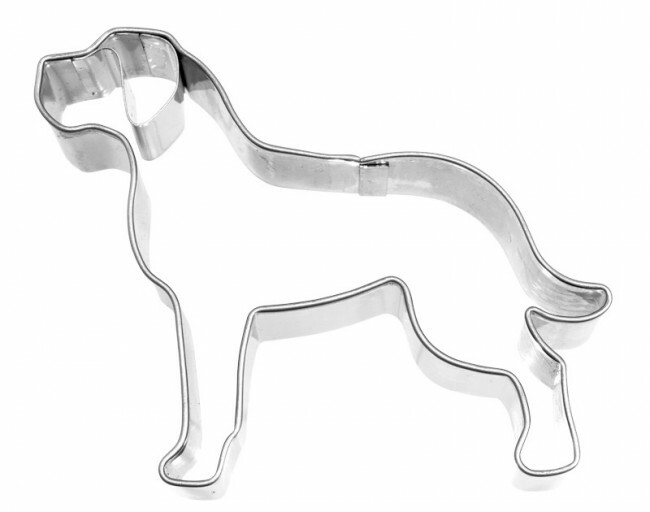 Paste-cutter with the shape of a great dane dog to prepare biscuits and shortbread pastries, but also to decorate cakes with sugar paste or plastic chocolate. Attractive paste-cutter also for carving vegetables with the shape of a dog. Dimensions 8 x 6 cm.